Firefox 3 and Google Chrome are two of my favorite browsers . Actually I like Firefox the most , because of its full fledged set of addons . Chrome currently supports scripts and its into early stages of addon development . Now what would you do if you like Firefox’s functionalities and Chrome’s user interface . The best solution is to change the theme . So here we have two themes . Firefox 3 theme for Google Chrome and Chrome theme for Firefox 3 . Converts Firefox totally into Google chrome looks . And as this Firefox theme is in beta stage , you have to login to the addon site to install this theme . But you can download this theme from alternate locations . 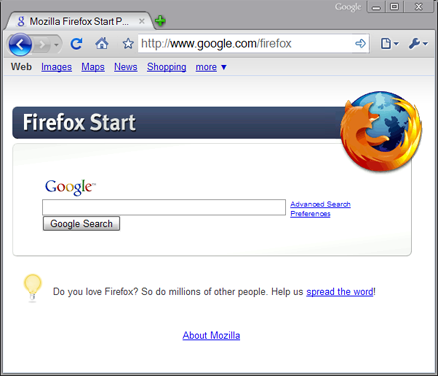 Converts Google chrome partially into Firefox 3 user interface . As shown below ,there is numerous changes in Icons but the settings tab sections remains the same . Theme installation in Google chrome is pretty difficult when compared with Firefox . After download , transfer the files to the following directories , as per the OS . Techknowl and application version will be different on your computer . And also make sure that you backup the existing dynamic libraries for future use .